Today’s short post is concerned with the news yesterday that the Bank of England is preparing to put the seven largest banks in the U.K. through an additional stress test, in addition to the resilience test that is conducted annually. The new test, which will examine the bank’s susceptibility to a number of additional aspects, including persistently low rates and higher costs, will run every two years and represents the central bank’s understanding that the volatile environment that we currently inhabit needs to be reflected in the stress tests. So, this post will focus on this new ‘exploratory’ test and assess whether it goes far enough, and whether there are any shortcomings which need to be addressed. The Bank of England has created this additional test so that it may better understand the larger financial environment if the banks in its jurisdiction, as a whole, succumb to the same pressures. The tests, which are based upon 7-year projections, are intended to incorporate global developments, such as the U.K. seceding from the European Union, and the rising debt levels that are being witnessed in China. The test will also include the hypothetical scenario of a global downturn and how the banks would cope with that over a 5-year period, which is a new approach by the Bank (when taken in conjunction with the other new elements – which include factoring in continued financial penalties) and has led to some describing this new test as ‘unchartered waters for both the BoE and banks’, which is a particularly accurate summation. However, there is one issue that reveals itself very quickly, and that is that we, as the public, will not know the results of the test. This is for obvious reasons, because it is logical to assume that the market would fall apart if it found out that, conclusively, a number of large U.K. banks were ill-prepared to survive an economic downturn. Yet, the largest banks have had difficulties passing the annual stress tests in the past, so it stands to reason that if they failed at the end of last year, they will fail again under this more rigorous test. RBS, who, as we have previously discussed in Financial Regulation Matters is in a particularly poor state financially, emerged only last year as the biggest problem in the wake of the stress tests for 2016. Even though RBS’s litigation costs contributed greatly to their poor position, the bank still had to revise its capital plans to adhere to BoE standards because, according to the parameters of the test, RBS would have suffered the second-largest ever percentage fall in capital (only behind the Co-operative Bank in 2014) – once this news was transmitted to the public, RBS shares fell 1.2% almost immediately). In terms of the test itself, there is a question as to what comes next. Usually, the Bank of England will conduct the tests and the target banks will respond based upon their financial position. Once the bank responds as to how it would cope with the imagined conditions, the BoE then rates the banks in terms of the measures that would be put in place to remain in a positive stance, or at least how they would absorb the negative aspects of the downturn and still remain viable. However, it is likely that RBS, in particular, will fail this new test so spectacularly, that even alluding to this will have a significant and negative effect upon its position. Even though the results of the test will not be formally released, the business press will find out somehow, and the results could be particularly damaging for a bank that is still 73% owned by the taxpayer. Ultimately, the test is required, but comes with significant connotations. However, the fear of the response from the market can never be an impediment to testing for a bank’s resilience, so in this light the actions of the Bank of England should be praised. Also, the fact that the issue of rising credit is being included, and a review of this rise is being incorporated into proceedings is particularly positive, because it was noted recently in Financial Regulation Matters how important this issue is to society, and it will also be discussed in an upcoming article by this author as to how the rise in automobile financing is creating an environment akin to that seen prior to 2007/8. Yet, there is more to be done. This new move by the Bank of England should be accompanied by a similar ‘stress test’ of the actions of all financial regulators and how they would manage the situation, because the financial crisis not only revealed the shortcomings of the regulated, but of the regulators as well. 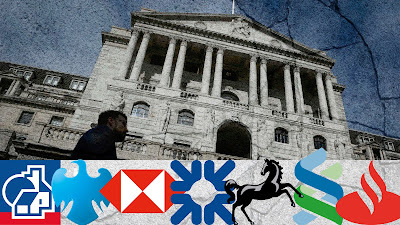 The move to incorporate the results of tests without revealing them to the public will likely not materialise, which will cause problems – but it is hoped that the Bank of England will forcibly direct the failing banks on how to proceed, rather than offer some friendly advice. One banker reportedly stated, regarding RBS, that ‘it is staggering they are still failing, we all know how much capital we need’ – it is clear that the failing banks cannot be trusted to protect against a major downturn, and that it will take an outside body to enforce that change in mentality; hopefully, the Bank of England can play that role.